A stunning new piece of evidence surfaces in the case of missing 5-year-old Joe Clyde Daniels. The evidence raises the possibility that the boy is still alive. The boy disappeared in April and investigators have long presumed he is dead. However, his body has never been found. 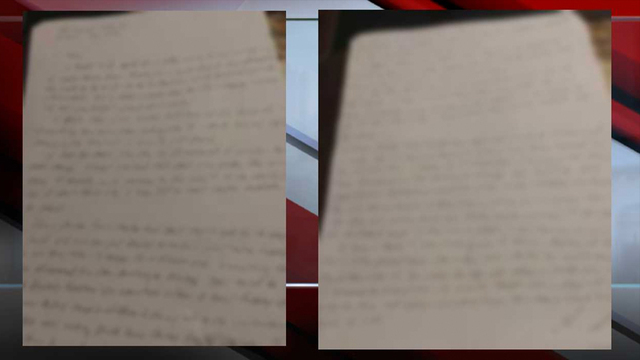 NewsChannel 5 obtained photos of the letter that was sent anonymously to Joe Clyde's grandparents. The handwritten letter was postmarked out of Nashville. It was sent this week to the grandparents in Dickson, Tennessee. "We have the letter. TBI will address it soon," Sheriff Jeff Bledsoe said. "We are investigating it. My thoughts are it is a staged hoax. Hopefully, the investigation will resolve the content." "As with any case we investigate, we pursue any evidence presented to us that is relevant to the case. 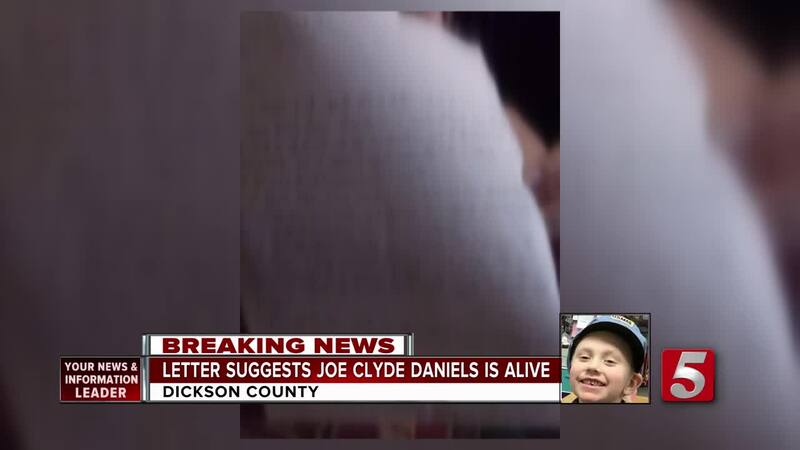 We are working to determine the legitimacy of the letter sent to the grandparents of Joe Clyde Daniels, but a this time have no reason to believe this will change the focus of the investigation." 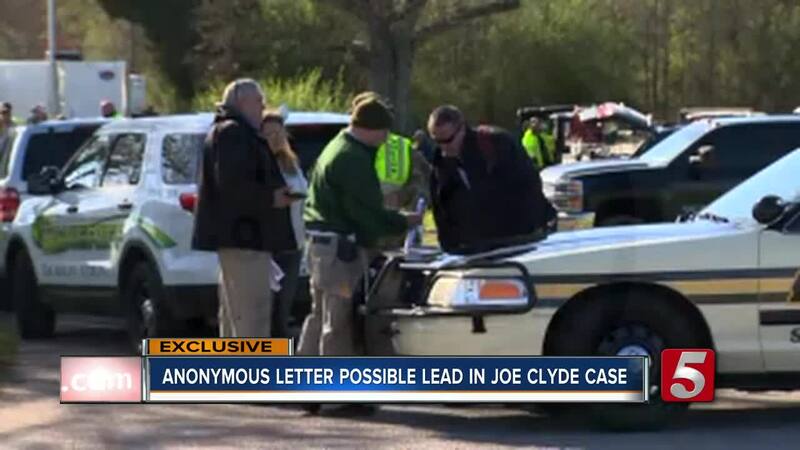 The anonymous writer claims Joe Clyde's mother, Krystal Daniels, arranged to give the little boy away. "I believe Krystal got Joe's clothes, packed them into a bag... and left Joe on the side of the road," reads the letter. The writer claims that he is alive and living in west Tennessee, possibly Jackson. "If we could get Krystal to confess what really happened...with this case. I know it's a bizarre case," the letter reads. The letter goes on to name those involved, which we have blurred out of our copies of the letter since they have not been named by police as part of the investigation. Jake Lockert, the attorney for Joe Clyde's father who is charged in his death, confirms the grandparents have turned the letter over to authorities. However, we know Krystal Daniels had motive. Investigators tell NewsChannel 5 she was frustrated with raising the child with autism and angry the family gave away their dogs because of him. The letter doesn't mention the child's father, Joseph Daniels. Earlier this year, investigators said he confessed to killing his son. However, his attorney argues the confession was coerced. To this day, investigators said Joseph Daniels has not been able to tell them what happened to his son's remains.